The Potocki Palace was built in the 1880s as an urban seat of Alfred Józef Potocki, Minister-President of Austria. No cost was spared to make it the grandest nobleman's residence in the city. The French architect Louis de Verny produced a French style with an open, park-like setting. In 1972 the palace was adapted for holding wedding ceremonies and subsequently underwent restoration. 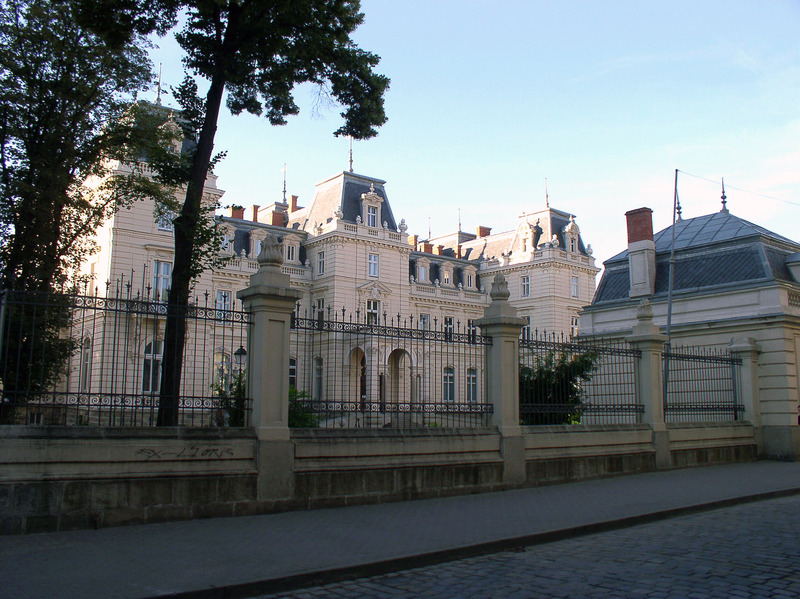 In the 2000s the President of Ukraine appropriated the palace as one of his residences.